School holiday activity days for children at Wangat. Bring your kids to Wangat in the school holidays for wild days of nature-based adventure and fun! 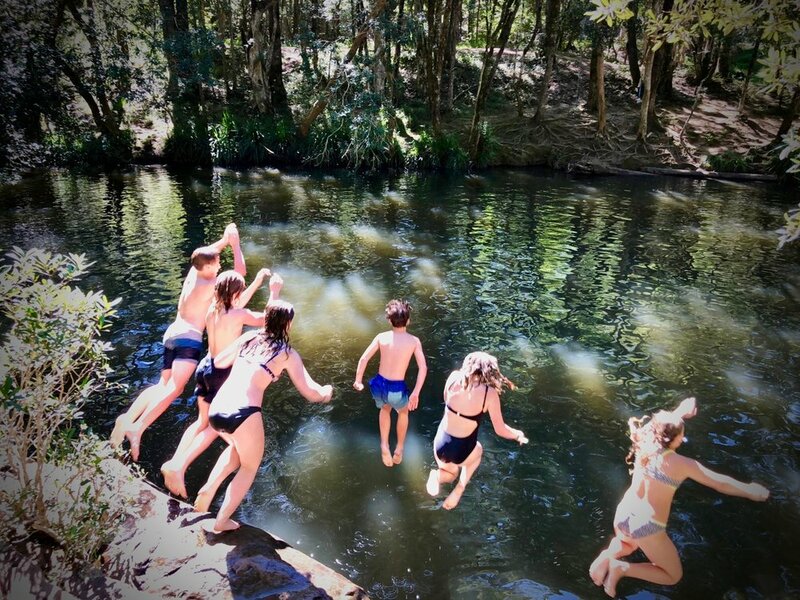 With experienced guides kids will explore the beautiful rainforest, rivers and creeks of Wangat and its surrounds and learn about the natural environment and bush crafts. 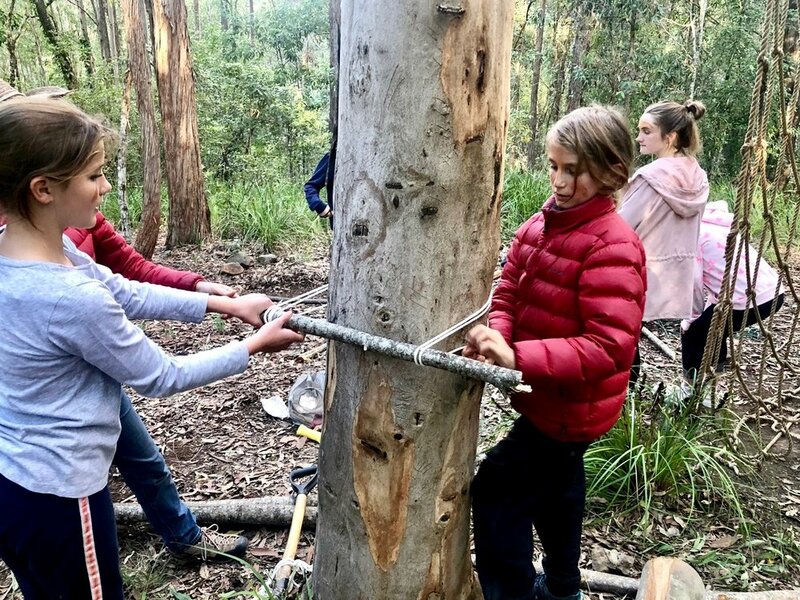 From finding fungi, discovering wildlife and cooking damper on the fire to navigating a treasure hunt, building a forest adventure playground and more… kids are never bored at Wangat! Participants can come just for the day or stay at Wangat with their family and friends in our affordable accommodation. The lodge can be booked ‘hostel-style’ during the holiday weekdays or stay in one of our self-contained bush cottages (availability permitting). A great idea for an affordable, fun family getaway! Activity days run from 9.30am - 3.30pm. 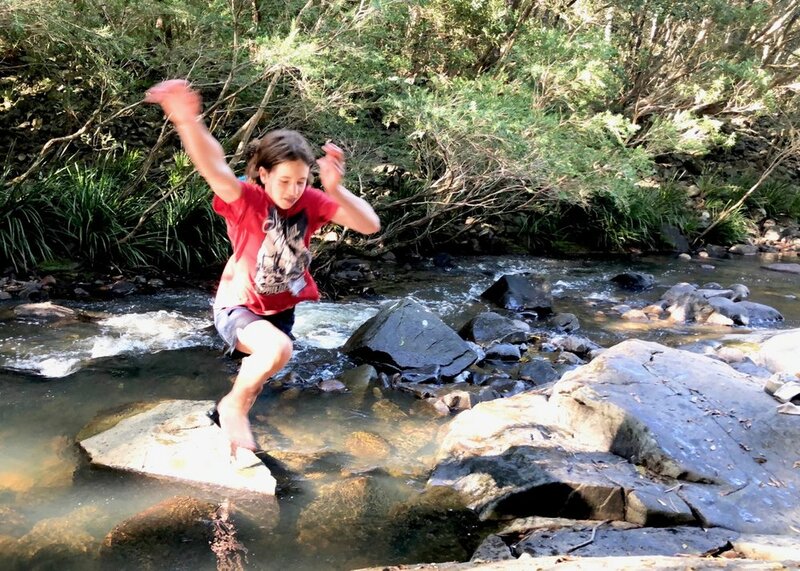 Discounted price for local kids (postcodes within the Dungog Shire). Self-catered lodge accommodation offered at $40 per adult, $25 per child/night with shared use of lodge facilities. Alternatively you may wish to book one of our 2 self-contained cottages. Family Special** – $875. Includes 4 nights in our lodge accommodation and 3 x activity days. * All bookings subject to a 25% non-refundable deposit. **Example based on 2 adults and 2 children. Please contact us for other package prices. Activity days and camp will not be running this April. Sorry for any disappointment!